UPDATE PLEASE RESCUE THIS OLD GIRL.. NEEDS GOOD HOME, BEST OF BREEDING..A LITTLE DOWN BUT NOT OUT!!! SOMEBODY SAVE THIS OLD GAL!! Thanks Jeff - yes Frank his son was the famous amateur golfer who came in second in the 1947 Masters Golf Tournament. 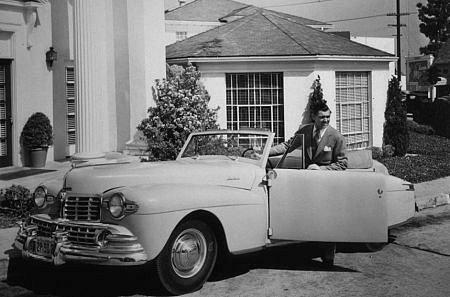 His son lived in the "Manor House" as it is now called and had access to the two Lincoln Continentals, amongst other cars, the black 46 Cabriolet and a Pace Car Yellow 48 Cabriolet - I am unsure about an earlier Lincoln model but I wouldnt be surprised. My car is not that early, but I imagine it was easier for him to get a 46 car than most folks owing to his connections. Interesting part of the story is in 1961 when Champion lost the Ford account due to Ford buying Autolite and making their own plugs. 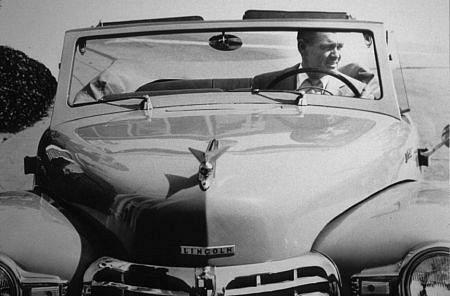 The Stranahans were furious, even though the Ford account was not that profitable, and proceeded to sell every Ford car they owned! Fascinating story. 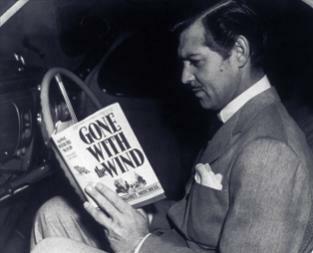 Is that Clark Gable in the second photo shaking Frank’s hand. Looks a lot like him? 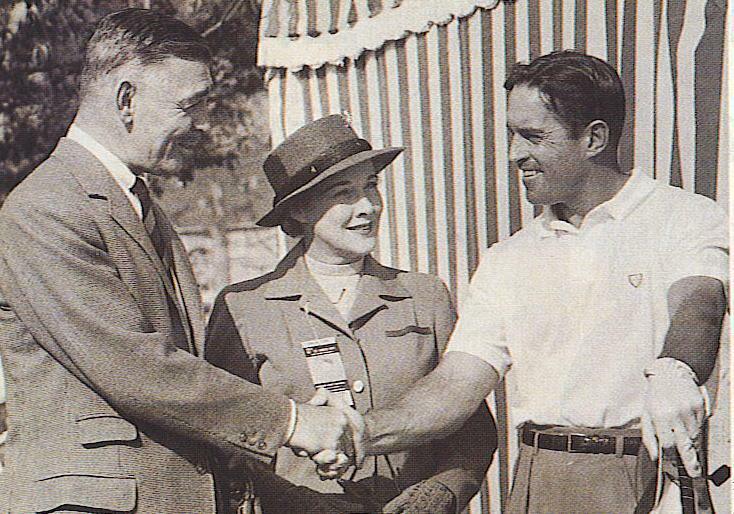 The photo I posted last of Frank Stranahan shaking hands was not labeled, but the closer I looked at it, I noticed it was Clark Gable - all the better as Gable loved cars, famous for his Duesenberg and Lincoln V-12 ownership. 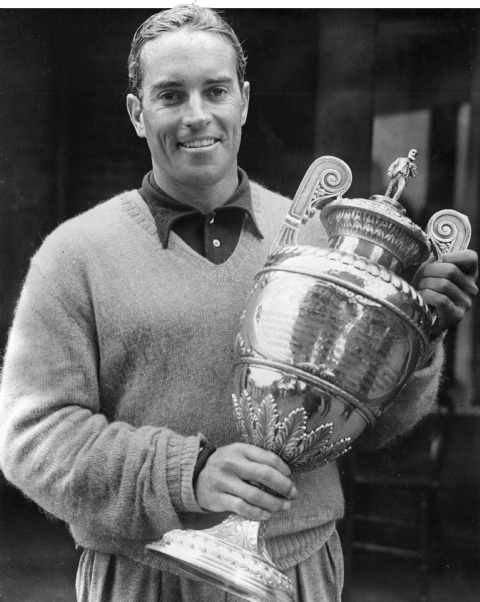 Golf photo was taken at the 1958 Los Angeles Open which Stranahan won. Gable and Lombard supposedly owned a 39 Flagship, but the only photos I have seen of them was with a 39 Zephyr three window. 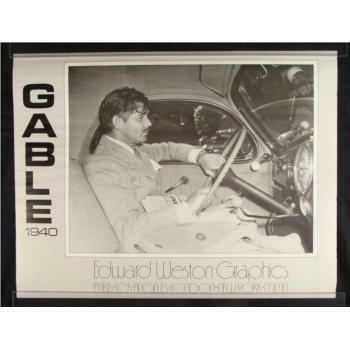 Edward Weston took a spendid photo in 1940 of Gable operating the 39 coupe - it was later made into a large poster. 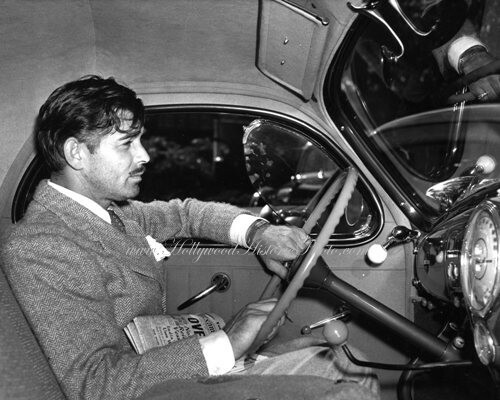 Gable also owned a 1946 Cabriolet! MORE CHAMPION LINCOLNS LOOK AT THAT! !